Paola Reina outfit for Summer, fits lots of dolls and has mix and match potential. It consists of:....read more below. Paola Reina outfit for Summer, fits lots of dolls and has mix and match potential. This beautiful outfit will fit many dolls. The textiles for the doll clothing is of the highest quality and comes from England, Portugal, France, Germany, Italy and Spain. 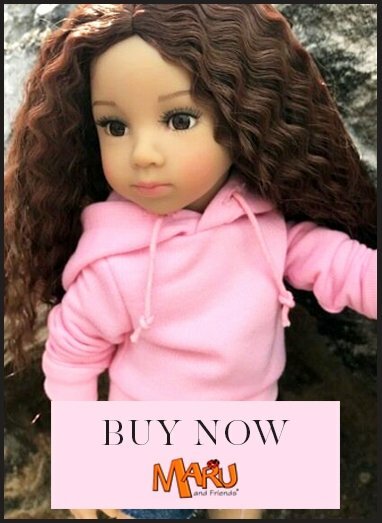 The hair for the Paola Reina dolls comes from Italy and Germany and is made of highest quality nylon (it is not made of polypropylene which is low quality and flammable). The outfits are made in Spain by skilled Spanish dressmakers following the famous German designer and doll-maker Ruth Treffeisen's pattern designs and the dolls are finally produced and packaged in Spain.